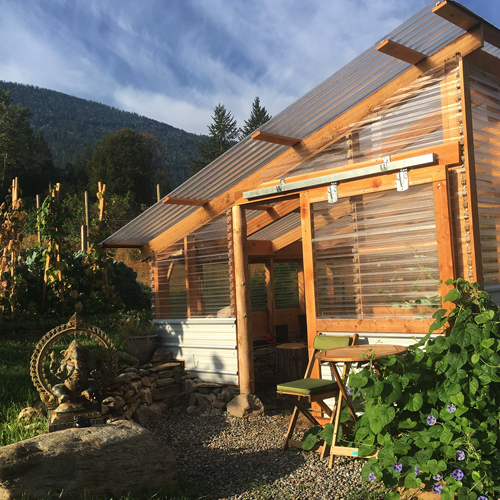 Here, on the beautiful shores of crystal clear Kootenay Lake, we’re fortunate to live on 24 “super-natural” acres, from 200’ of private beach, to a mile up the mountain, past the meditation pond, tracking our very own Greenwood Creek. 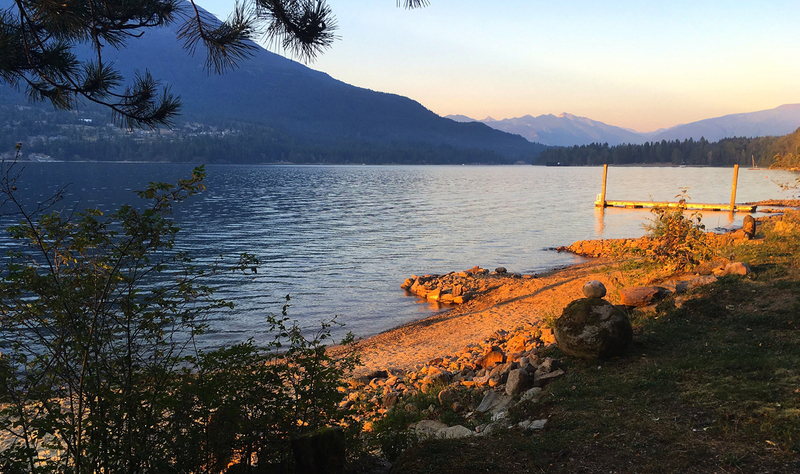 At Sunshine Bay, life is simpler and the choices abundant: you can hang out in a hammock and read a book, head down to the lake for a paddle, or hike the meadows near Kootenay Glacier. You also have permission to do absolutely nothing! The Eagle Suite is part of Sunshine Bay Retreat on the shores of beautiful Kootenay Lake. Sink into luxury linens, and starry, quiet nights, from the comfort of this modern one bedroom suite with newly renovated kitchen and bath. Take full advantage of our 24 acres of nature-packed beauty. 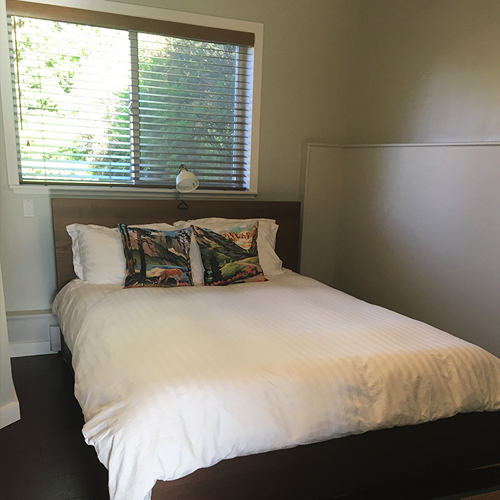 The Osprey Suite is a newly renovated, bright 650 square foot, one bedroom, and one bath unit. 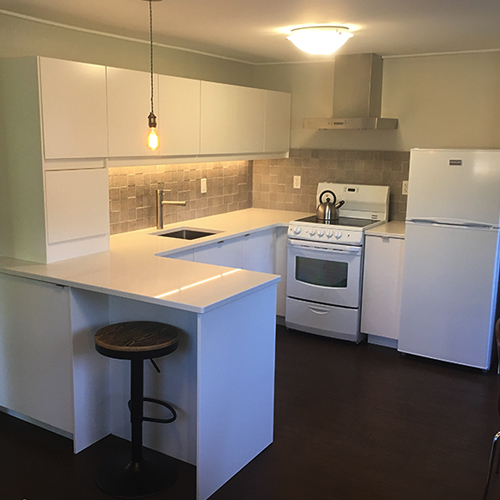 The Suite features a fully outfitted kitchen, with mountain and peek-a-boo lake views, comfortable cork floors, and luxury bedding with down comforters, plus a double pull out sofa in the living room.